Vitamins provide essential nutrients, necessary for the growth and development of every organ, blood cell and bone in the body. 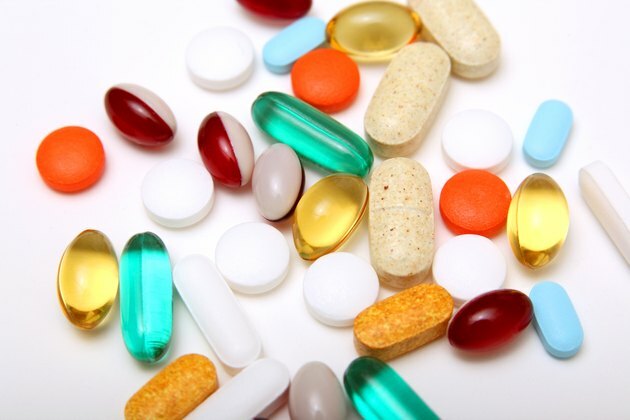 Vitamins are classified as either fat-soluble or water-soluble. Water-soluble vitamins are not stored in the body, so it’s important to provide an adequate supply through a balanced diet. There are nine water soluble vitamins, the eight B-complex vitamins and vitamin C.
While each one has a unique role, as a group they're necessary for the conversion of glucose to energy, metabolizing fats and protein and supporting the nervous system, skin, liver, muscles, hair and eyes. The best food sources of the B-complex vitamins are whole grains, fortified cereals, meat, fish, green leafy vegetables, milk products, eggs, nuts, beans and legumes. Vegetables and fruits that are highest in B vitamins include peas, broccoli, Brussels sprouts, spinach, potatoes, corn, tomatoes, peaches, cauliflower, bananas and beets. Thiamine helps to promote normal appetite and, like other B-complex vitamins, strengthens the immune system. Foods especially rich in this vitamin include nuts, such as pecans and macadamias, fish and meats. Vitamin B2 works as an antioxidant and helps convert B6 and folate into active forms in the body. It is also necessary for healthy vision and, according to the University of Maryland Medical Center, may help prevent cataracts. Many foods provide the vitamin, including brewer's yeast, organ meats, whole grains and dairy products. Niacin helps produce hormones and improves circulation by widening the blood vessels. It is also used to reduce levels of bad cholesterol and increase good cholesterol. Niacin is provided by eggs, enriched breads, nuts and poultry. Critical for the production of red blood cells and steroid hormones, vitamin B5 is also needed for the synthesis of cholesterol and helps the body use riboflavin. Avocados, vegetables in the cabbage family and potatoes are good sources of the vitamin. Information at the University of Maryland Medical Center states that B6 affects more than 60 proteins throughout the body, but is especially important in the nervous system and blood cell production. It helps produce the chemicals that nerves use to communicate with one another, making it essential for normal brain development and function. It also participates in the synthesis of melatonin. Pyridoxine is provided by avocados, bananas, meats and nuuts. Along with vitamins B12 and folic acid, vitamin B6 protects the body from cardiovascular disease by reducing the level of homocysteine in the blood. Biotin is also called vitamin H. It assists in metabolic reactions and plays a role in maintaining levels of blood sugar. It is frequently found in products for the hair and skin and is recommended to counteract hair loss and to strengthen nails. Good sources of biotin include chocolate, legumes, milk and nuts. This vitamin is also important for the brain and plays a significant role in mental health. It assists in the production of DNA and RNA and controls levels of homocysteine. It also works together with vitamin B12 to regulate the formation of red blood cells and help iron function. Folate comes from beets, legumes, peanuts and green, leafy vegetables. A deficiency in folate is associated with problems in fetal development, including neural tube defects. Cobalimin is needed for metabolism; it plays a role in the formation of red blood cells and helps maintain the central nervous system. Vitamin B12 is added to fortified cereals and grains, but otherwise, it is found in only animal products including meats, fish, eggs and milk. Vitamin C is necessary for the production and repair of tissues throughout the body. It helps make collagen, which is a protein vital to skin, tendons, ligaments and blood vessels. It heals wounds and maintains bones. Vitamin C is also an important antioxidant. Inadequate amounts of vitamin C are associated with high blood pressure, stroke, atherosclerosis, gallbladder disease and some cancers. The best sources are oranges, peppers, cantaloupe, strawberries, broccoli, tomatoes, Brussels sprouts, cauliflower, leafy greens, squash, potatoes, raspberries and blueberries.